ADDults with ADHD (NSW) Inc is run by a team of volunteers from a range of backgrounds. To keep our organisation going we need volunteers with office skills, marketing, advertising, event management, publications and IT. There are roles to play in our office and volunteer support roles needed at our events like the Quarterly Awareness Afternoons and Conferences. Being part of our friendly team is an opportunity to make a contribution to the community whilst possibly gaining new knowledge and skills. To become a volunteer contact us by email or telephone. 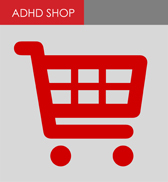 ADDults with ADHD supports multiple websites and during 2016 is planning to enhance the functionality including more self service and more ecommerce. Our websites provide communication with the community at large, our members and provide facilities and information for our volunteer team. ADDults with ADHD is looking for volunteer website developers with experience in the development of templates and the management of a content management based system. Our team needs volunteers who can write articles for our Newsletter and our Website. In many cases we can provide the source information that needs to be written up or summarised for inclusion with other news and items of interest. On the website and in our newsletter, many of our articles are quite short so contributing one article does not take up a lot of time. However the impact of a several writers making small contributions can be huge for our organisation. You can work in our office at North Ryde or make an arrangement to work from home. The organisation is looking for a volunteer for the position of News editor to lead a small team in the creation and publishing of the quarterly newsletter. You will become a key member of the friendly dedicated operational team in an expanding organisation. There is opportunity to develop new knowledge and skills in the area of mental health and to make a difference in the lives of a significant number of Australians.